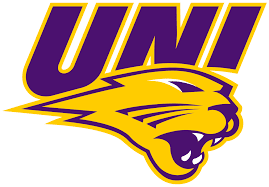 Over the years the underdogs have fared well in the Missouri Valley Conference softball tournament and Northern Iowa coach Ryan Jacobs hopes for more of the same this week in Des Moines. The Panthers are the sixth seed and open Thursday afternoon against seventh seeded Illinois State. The winner of that game will advance to the quarterfinal round to play third seeded Southern Illinois. UNI finished the regular season with a record of 26-25. Regular season champ and host Drake is the top seed. The Bulldogs have a double-bye into Friday’s semifinal round. Josh Jackson was on the practice field for the first time as a member of the Green Bay Packers over the weekend as part of the Packers’ rookie minicamp. The former Iowa standout was taken in the second round of the NFL Draft. Jackson on what the weekend is all about. Jackson is excited about the chance to get started.